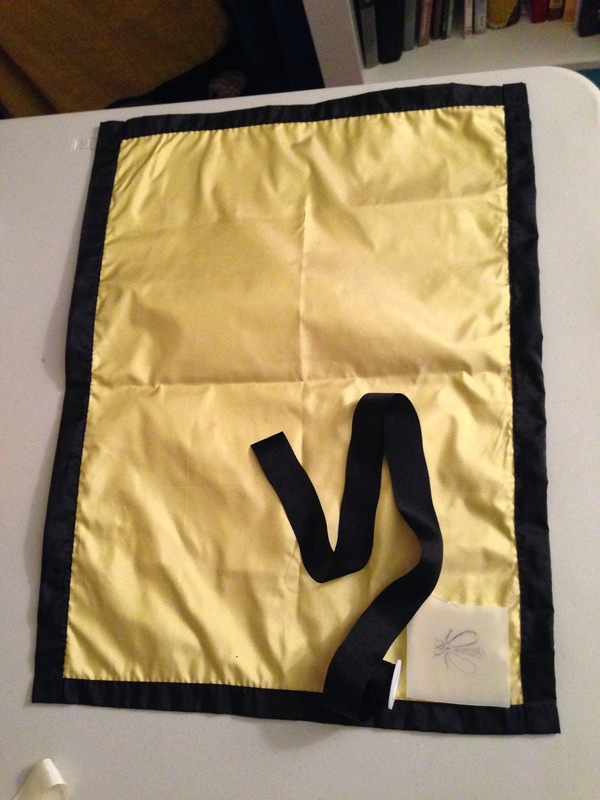 I believe that great accessories are the foundation of an outfit, so I decided for January's challenge I would make a black & yellow applique 'bee' muff and matching sash that would be the foundation of an outfit I'm planning for later this year. Sometimes life has it's own ideas though, so while I was in the midst of progress on my black & yellow reverse applique bee muff and sash, my mother in law unfortunately passed away from terminal cancer and instead on the plane trip out West, I created the foundation of my long-planned Regency mourning outfit: a black silk taffeta mourning muff. How historically accurate is it? I would say right up there in historically accurate. Muffs of this time were in various materials, shapes and sizes, with this small size being a popular accessory of the time. I have researched and found multiple extant examples of silk muffs in this size/style at the Met, Museum of Fine Arts Boston, etc. and seen in multiple fashion plates of the time. I made the muff cover for this challenge, but the muff insides are 100% white goose down, and through my research I have found multiple historical examples of muffs filled with down, swan's down, and wool (among other things), as well as muffs used in mourning. The muff cover is 100% hand sewn and my MIL's initials, SW are sewn with almost-hidden, tiny stitches on the side. Hours to complete: About 5 hours, on a plane, all hand-sewn. First worn: January 9th, 2015 at my mother-in-law's funeral in WA, with modern outfit/black dress. 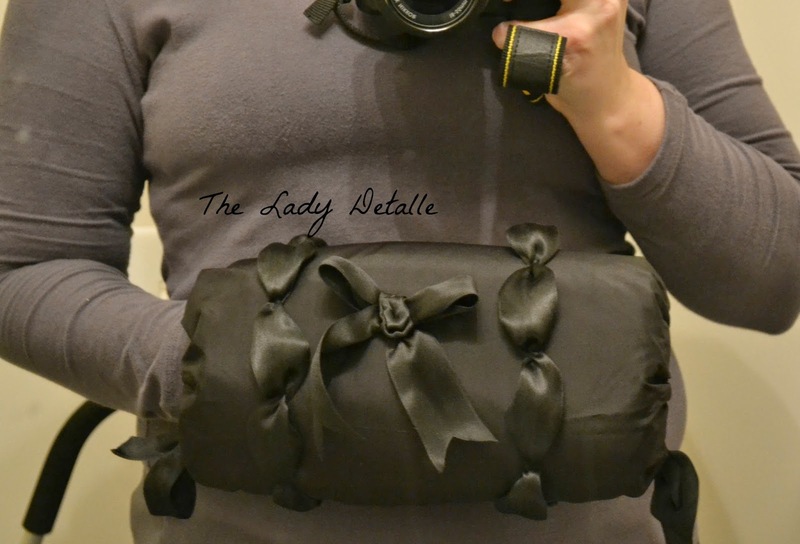 Total cost: About $15 in supplies, muff cover only - I had everything in my stash, but the fabric was roughly $4.50 for the piece I used, and the 1" silk ribbon about 1 and 1/2 yards at $2.50 total and 1 1/2" silk satin ribbon about 3+ yards at $8.00 total. The 100% white goose down used in the muff insides (not part of this challenge) tends to be a bit pricey, but lovely, soft & warm. 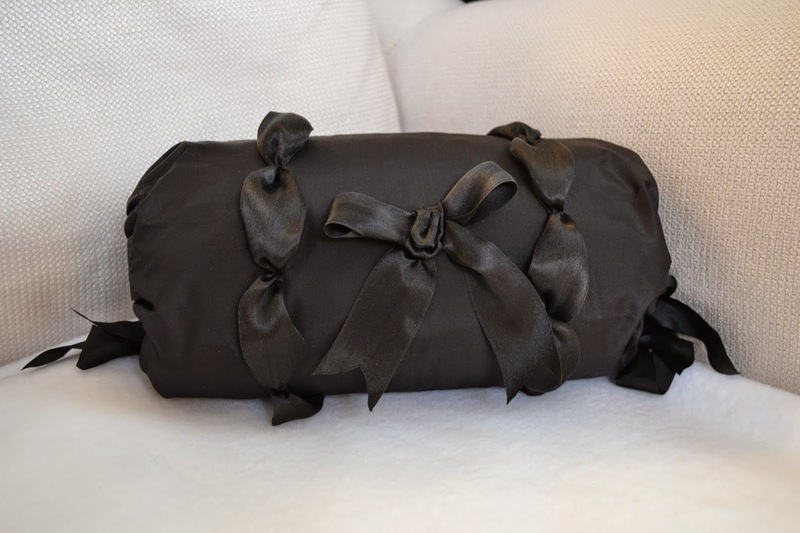 January's challenge, black silk mourning muff cover, in loving memory of my MIL, Sharon. 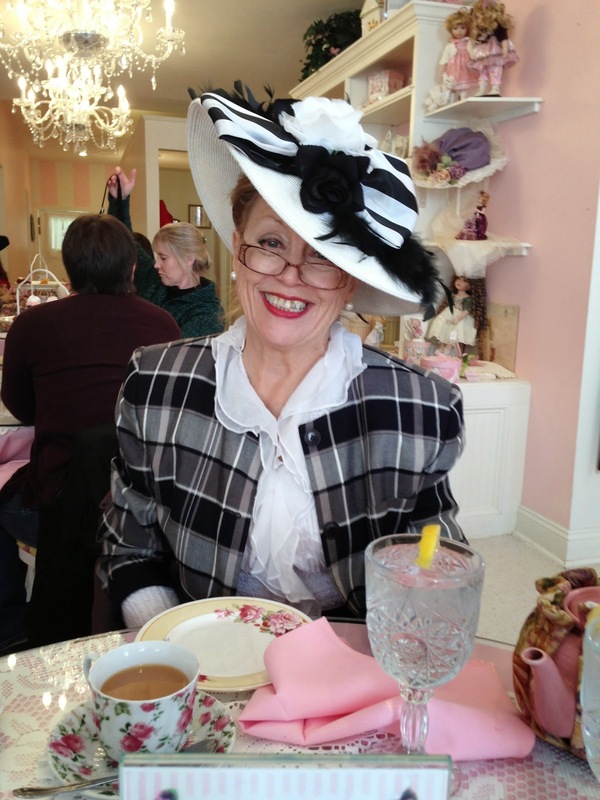 My mother in law, Sharon, taken at afternoon tea in Fredericksburg, VA last year: Mat & I miss you.